I'm rather under the weather right now but I come baring treats! Today I bring you guest Gabriella Hewitt and a bit about her book Out of the Shadows. Hi Xakara! Thank you so much for having me on your blog today. I am happy to share Thirteen Things about my newly released novella, OUT OF THE SHADOWS. 1. Aztec Mythology: Set in the present, this story weaves Aztec mythology into the story. 2. Wolves: My hero, Tomas, is a wolf shifter with major attitude. 3. Hummingbirds: In Aztec mythology, the souls of warriors who died in battle turned into hummingbirds and followed the journey of the sun for three years before ascending to "heaven." 3. Sonoran Desert: Out of the Shadows is set in the Sonoran Desert, an area that straddles the U.S.-Mexican border and covers part of Arizona. 4. Huitzilopochtli: He is the Aztec god of the sun and war, and he plays a role in this story. 5. Chalchiuhtlicue: A mouthful, isn't it? She is the goddess of water, among other things, and her name means "She of the Jade Skirt." 6. Tzitzimime: These are celestial demons. They are said to come down from the sky and appear as beautiful women, who tempt men, only to devour their souls after. I've taken some liberties with them in my story, but they make great bad guys. 7. 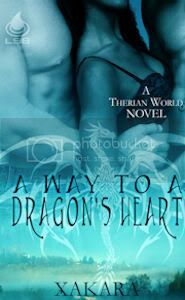 Secret: My heroine, Carolina, guards a secret that has been passed down to her from one generation to the next. 8. Shadow Warriors: Aztec warriors chosen by Huitzilopochtli to stand between humans and the demons sent to earth to destroy them. 9. Water: Carolina possesses power over the element of water. 10. 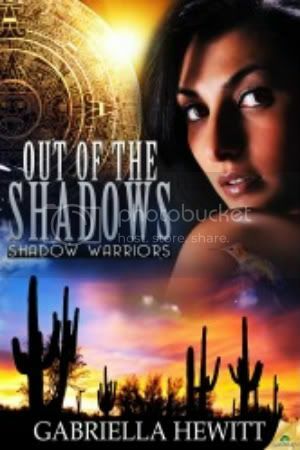 Series: OUT OF THE SHADOWS is the first story in the shadow warrior series. Shadow Vision will be next and there will be others. 11. Stubborn and Independent: Qualities both Carolina and Tomas possess. They'll have to find their way past the tough barrier they present to the world to reach each other's hearts. 12. Excitement. Suspense. Passion: I always deliver ESP in my stories. You'll find plenty in this one. Out of the Shadows, released on August 16th from Samhain Publishing. 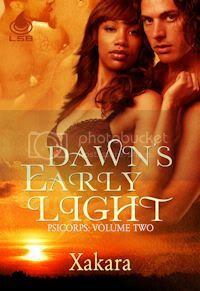 It's available through Samhain Publishing, Amazon and ARebooks. If you pick it up, drop me a line and let me know how you enjoyed it. I enjoy hearing from readers. So, what aspects of a story attract you most? The cover? The blurb? The genre? Leave a comment and be entered into the OUT OF THE SHADOWS blog tour contest. Winner announced on Aug. 26th will receive a $25 GC to Amazon.com. Official rules are here. For your added enjoyment, here is a tantalizing excerpt from OUT OF THE SHADOWS, available from Samhain Publishing. Gabriella: Sounds like your story is based on some interesting mythology. Thanks for telling us a bit about it. Xakara: Hope you're feeling better! Thanks, I hope to feel better soon too! I'm totally intrigued by the Aztech Mythology! Awesome concept! Hope you feel better! The book sounds great! Love the addition of hummingbirds and the cover rocks! Everybody loves a little ESP *wink Happy T13 Feel Better, Xakara. Thanks Xakara for hosting me today. I'm so glad people like the concept. Aztech mythology has been very fun to research. And I agree about the cover. It totally rocks! LOL! I'm also seeing some familiar faces stopping by, so big waves to all of you! So glad to have you, Gabriella! What great information. I had no idea. Love the mythology and I appreciate how you gave us a small notion of how you worked it into the story. Good luck with the book sales! Sounds very interesting. "She of the Jade Skirt" appeals to me for some reason. I hope you feel better soon, X! Different mythologies are always interesting to read about. Sounds like an awesome book too! Hope you feel better soon, Xakara! Thanks, Star! It's happening slowly but surely! I've just been out in the Sonoran desert and thought those cacti on the cover looked familiar! I've also managed to get one book out there, 'The Triangle' on Amazon and Kindle and I'm hanging in there for a couple more. It's ages since I did a Thursday Thirteen. I thought I'd see if there were still people doing it. Amazingly, I found the site is still running!